A world-record attempt to circumnavigate the globe on a scooter with a sidecar. Raising awareness of modern day slavery. 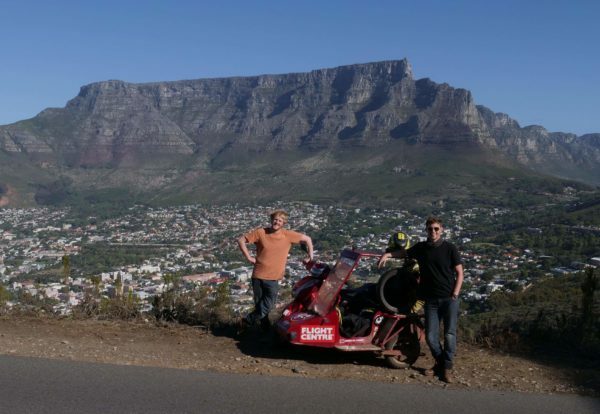 We (Matt and Reece) are a couple of guys who thought up the idea to circumnavigate the globe on a scooter with a sidecar back in 2015. At the time, we had absolutely no idea how to ride a motorbike, let alone how to drive a scooter with a sidecar around the world. We came up with the idea when we were sat in our dingy flat in North London complaining about the state of the world and how we were doing nothing to change it. After much deliberation on how we could make the world a better place, we decided that circumnavigating the globe on a scooter with a sidecar to raise awareness of modern slavery was the only solution.